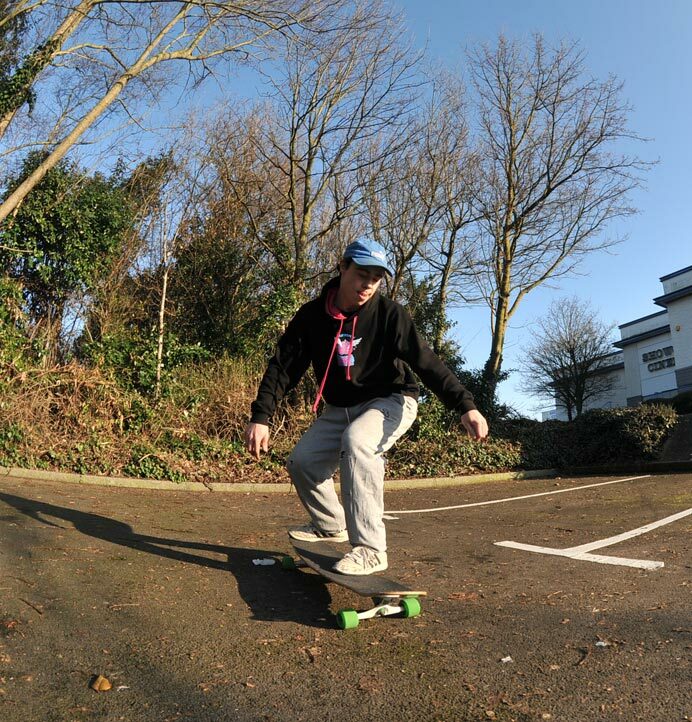 The 180 No Comply is a great flatland longboard trick – easy, relatively risk free, and it’ll work with pretty much any size of board. You can easily mix it in with other dancing and footwork tricks to create a flowing, technical style. 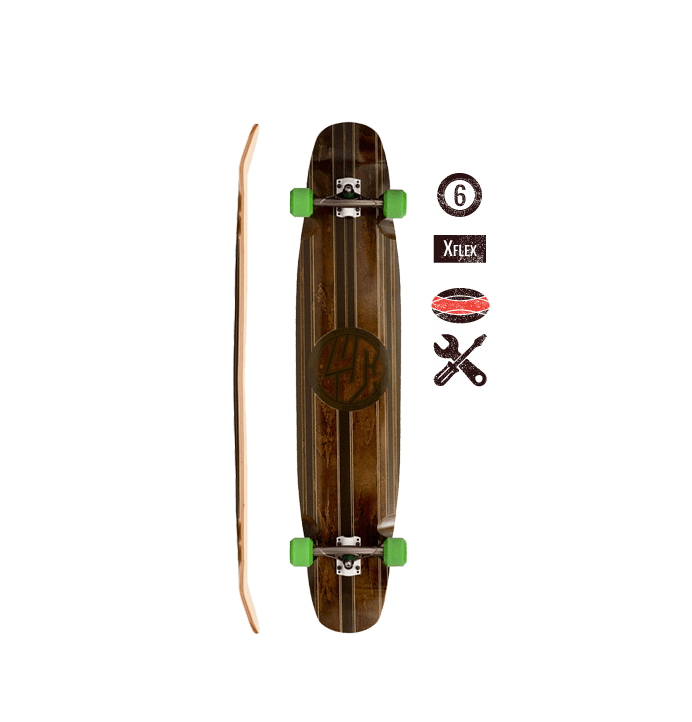 You don’t need a symmetrical board for this, but a bit of tail on your deck is essential. 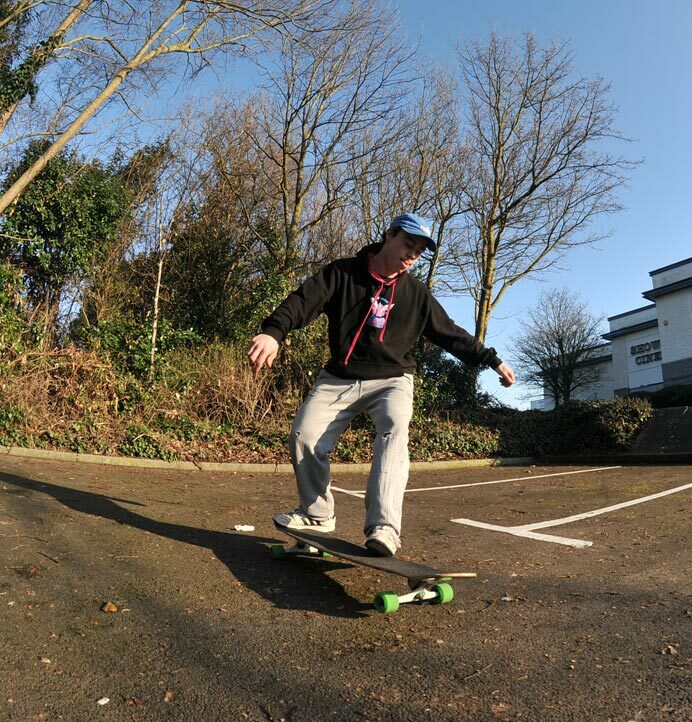 For longer boards, just slow things down – it can actually be easier on a bigger deck as you’ll have more space to land on. 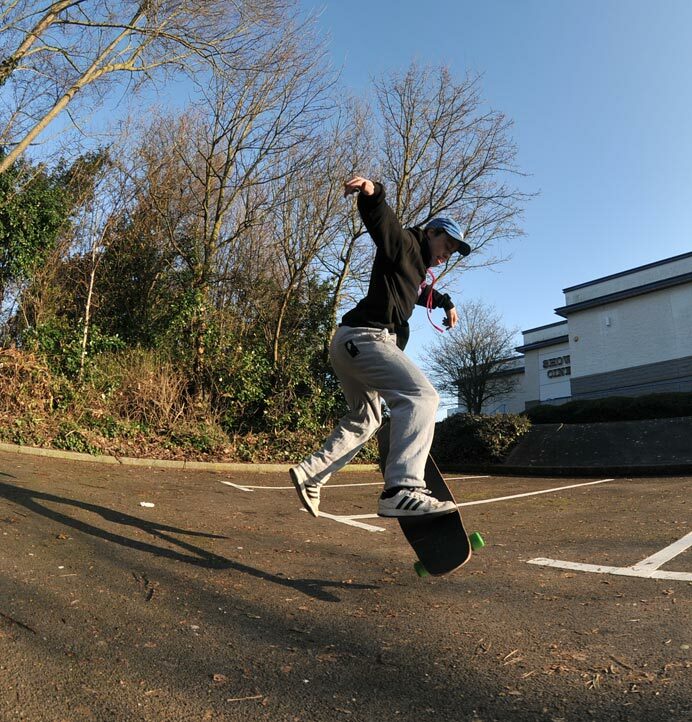 Here’s Lush teamrider Jooz to take you through it on the Lush Legend. Start with your back foot on the tail, on your toes, with pressure on the ball of your foot, ready to pop. Your heels should be over or hanging over the heelside rail, ready to turn in. 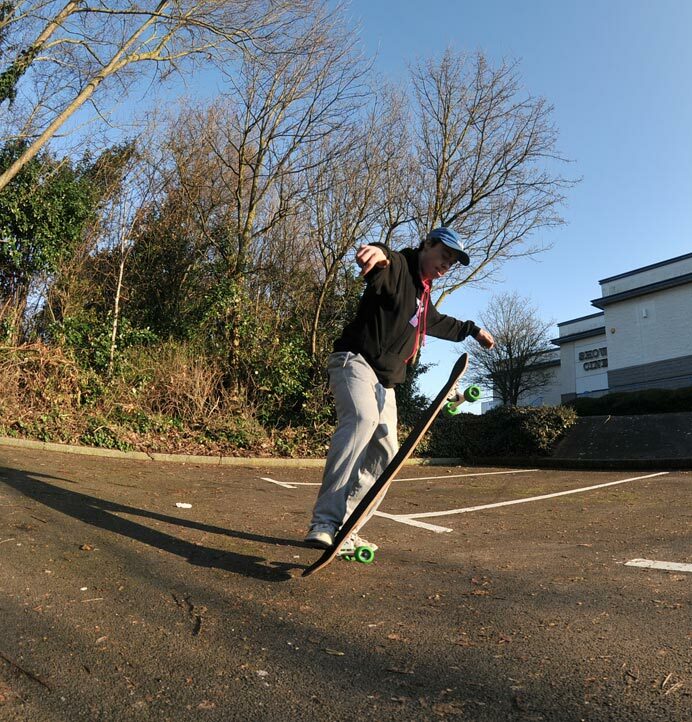 Your feet should be shoulder width apart, but on a board as long as the Legend, you can go a bit wider. Jooz’s front foot is just under halfway up the board. 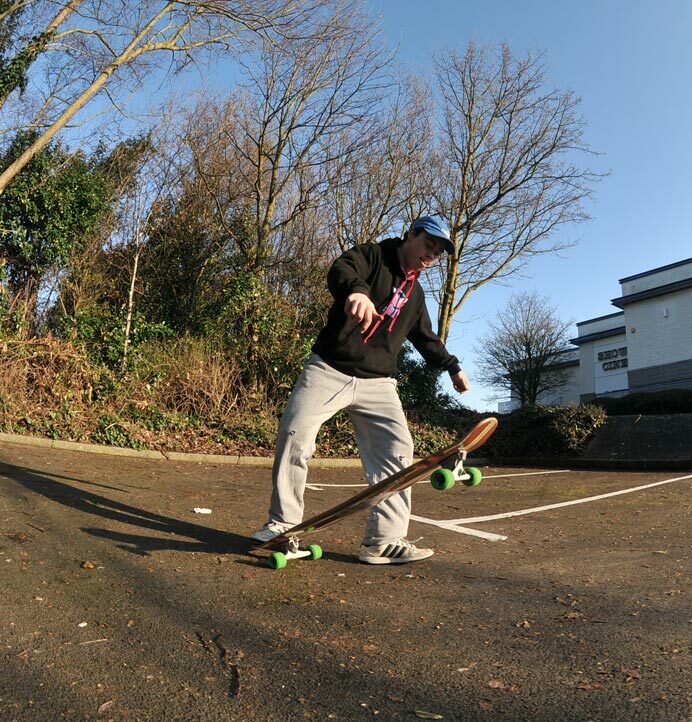 You don’t need a lot of speed at all for this – in fact, slower can make it easier to keep the board under you. Drop your weight ready to pop. 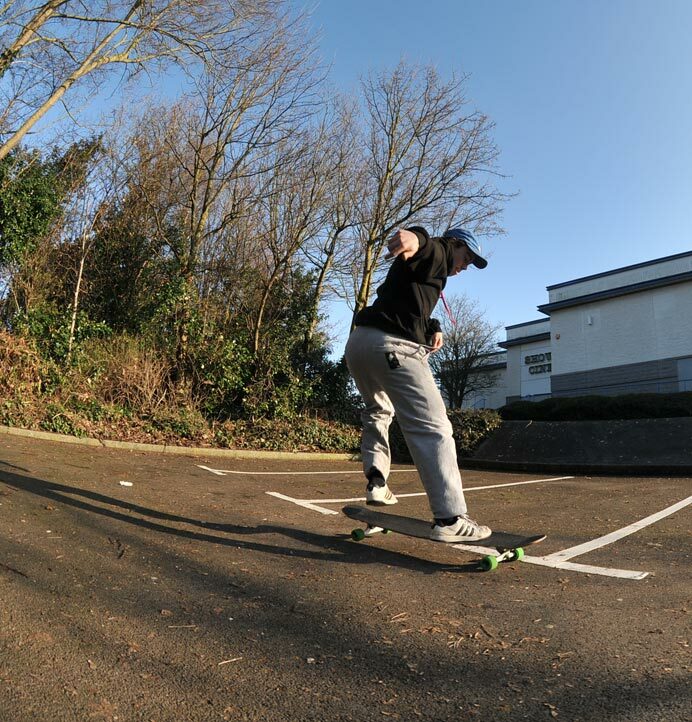 Load up the heelside rail, and do a little frontside lean into the trick. This is the crux of the trick – get this right and it’s much easier. The key is to slide your front foot off rather step off. This keeps the rail of the board loaded until the last minute, and stops the board popping up too early. You’re trying to hold the front of the board down for as long as possible whilst putting it on the ground to help generate the pop. 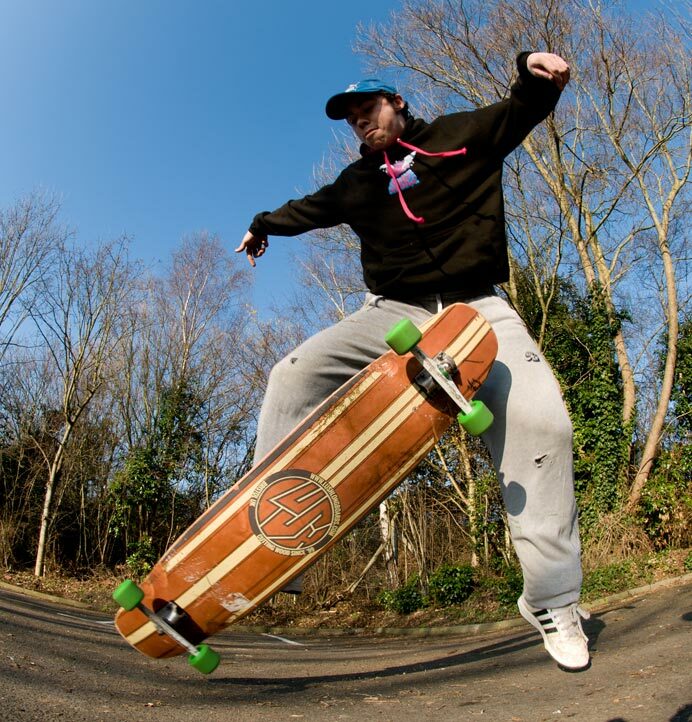 If you step off rather than slide off, your weight will shift off the board too early and the board will pop too fast. Spend a bit of time practising the movement until you have it perfect. Your foot should be off the board and flat on the ground now. Notice how Jooz has turned his foot sideways and opened his body up to create space and rotation for the 180. 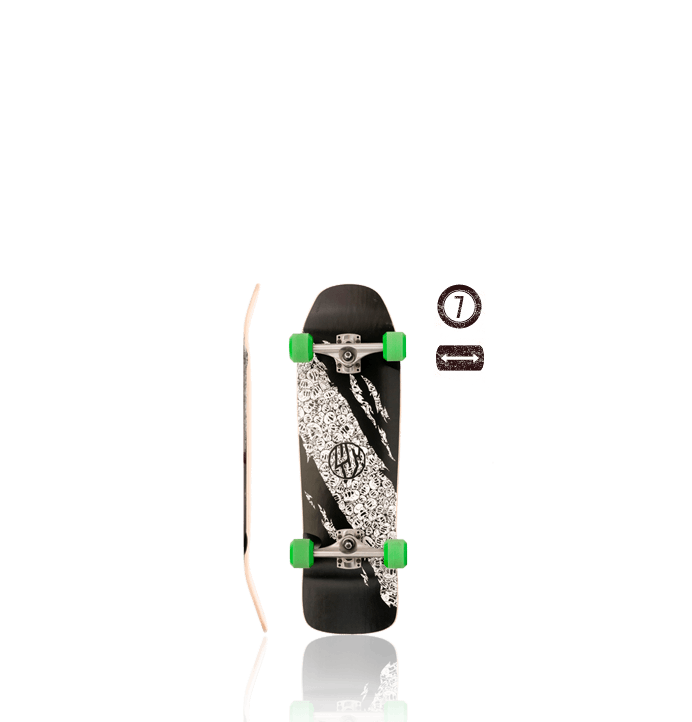 Your weight on the back foot, plus the fact that your front foot isn’t holding the board down anymore, should cause the board to pop up. As you stamp on the tail to get the front of the board up, kick the back of the board out and round to spin the tail away from you. Continue opening up and rotating with your body, pivoting around your planted foot. 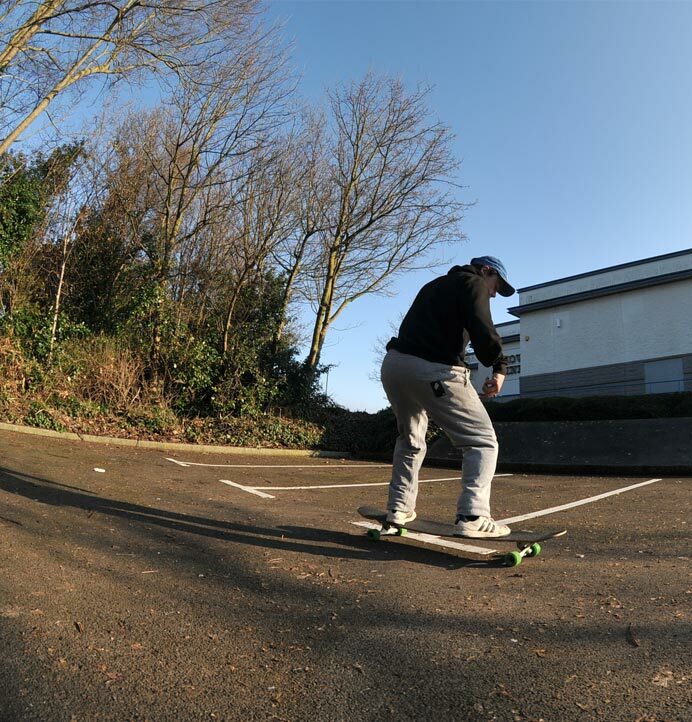 Try to keep the board close to you and avoid letting it get too far away – learning this trick at a slow speed will help you with this. Hop with your planted foot as you continue to pivot, rotating with the board in the air. Use the toes of your back foot (the one still on the board) to keep the deck close and stop it flipping over or spinning too fast. This is the commitment stage of the trick! Aim to get your foot back on at the truck bolts, or at least very close to them. You will notice that your sweeping foot has moved up off of the tail a little bit. 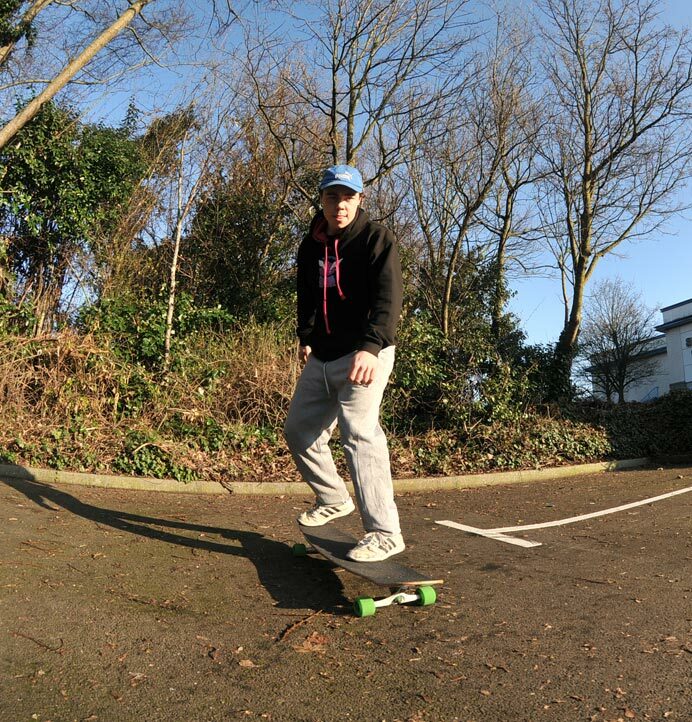 Bend your knees and compress a little to absorb the landing – then roll away clean! Once you have this mastered, it’s time to learn the beanplant, which is basically the same thing but without the 180, and with a grab to get in the air. You’ll be rolling out of this trick in fakie, which sets you up perfectly for the fakie shuvit (which we recommend you learn before you try this), or a revert 180 slide.